For those interested in property management abroad, there are many questions. How many, how much, where at? And once property is secured, the question of management arises—will you live abroad and manage your investment (for many, a very appealing option) or maintain residency in the United States and outsource management responsibilities? If you’re willing, able, and interested in life outside the United States, there is a strong case to be made for self-management. First, you’ll save money by managing your own properties and tenants, and have access to your money immediately. When an outside company provides these services, money is often held in a trust for upwards of one month before being dispensed to an owner. 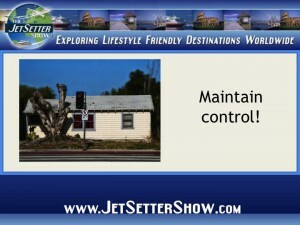 Additionally, you’re able to maintain greater control when you make the decision to self-manage your property. You’re in charge of your print and internet advertising, and have the option of determining how big you go—if you find free internet marketing gets you the biggest results, you have the casino online ability to focus your efforts on simply that. You’re also able to maintain control of those you choose to rent to. While management companies often fail to thoroughly screen guests, self-management allows you put tenants through the kind of process you find most useful. You have the ability to say yes (and more importantly, no) to potential problem renters. The power of negotiation is also afforded to you when you’re self-managing your property. You might like some tenants enough to negotiate a ten-month lease when it is typically not your policy. You might need rental free for a month to accommodate visitors from back home—self-management provides flexibility of lease terms that may be exactly your style. You’ll also be able to control money. This happens in a few different ways. First, you’ll be able to assess tenant damage and assign appropriate security deposits and returns. Next, you are able to set (and change accordingly) the amount charged for rent. Finally, the IRS allows rental losses to be written off for those actively involved in the rental process. Plus, many enjoy the ability to be hands-on with their investments. Fortunately, the internet has made it easy to be your own manager, with free access to forms, legal documents, and helpful advice. Self-management isn’t for everyone—but it may offer just the structure and security you’re looking for in your investments.